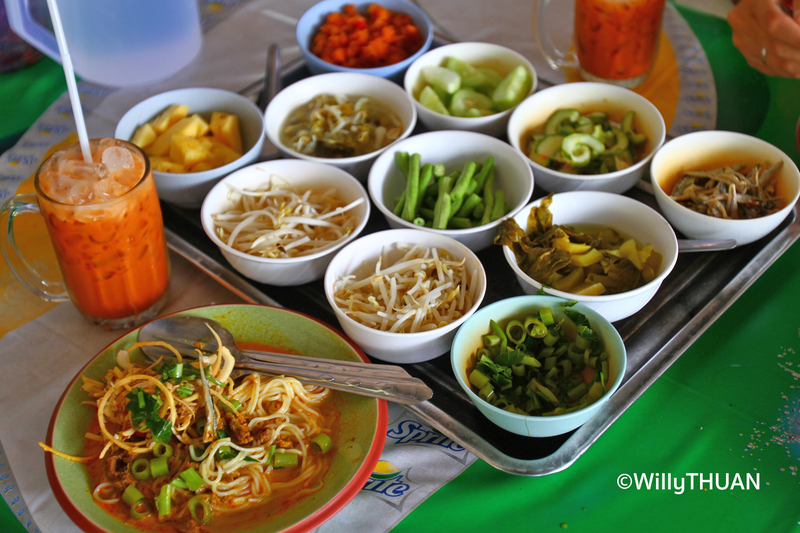 What Phuket dishes should you try and where to find them? We already share our Best 10 Local Restaurants and 10 Best Classic Thai Dishes, so here are 10 really local dishes (or their popular Phuket variation). 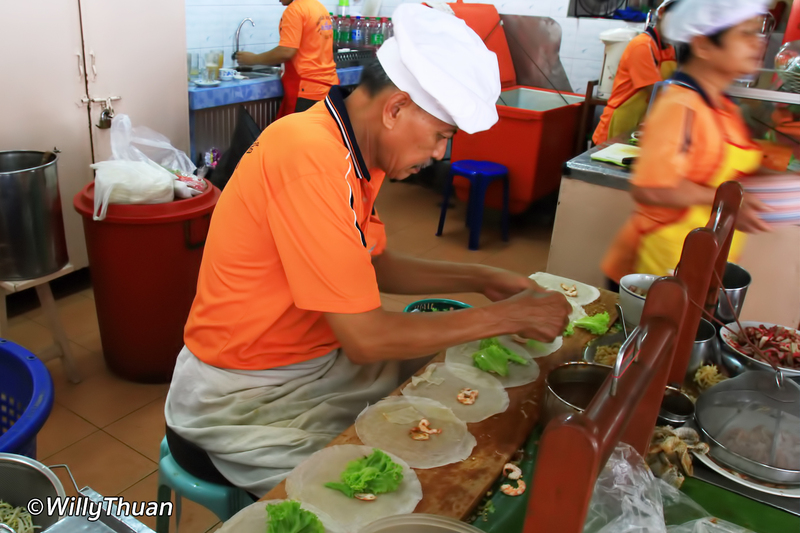 To make it easy for you, most of these specialities are around the intersection of Dibuk Road and Yaowarat Road, mainly at Lock Tien Food Court. 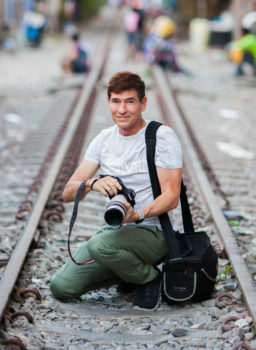 There are many other places in town where those specialities can be found, but we tried to facilitate your experience: as you probably will explore Thalang road and surroundings, you will be very near the ‘Phuket delicacy street’, so give it a try. 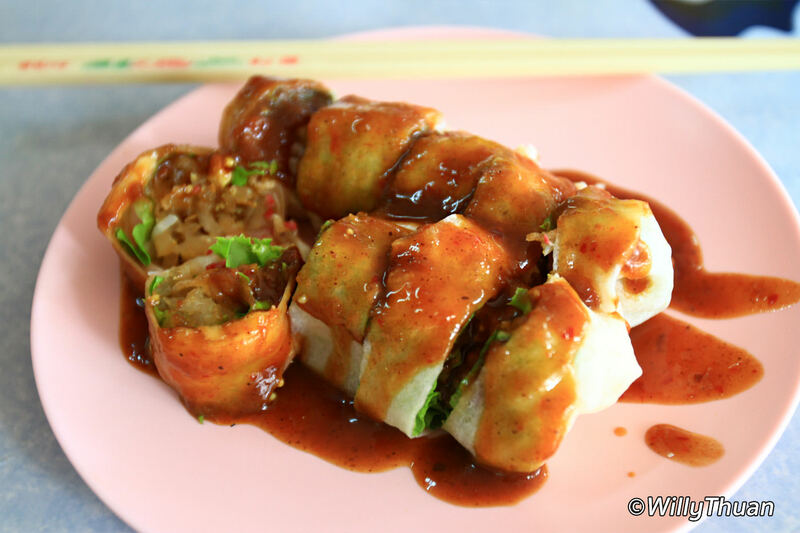 Fresh spring rolls served with a sweet brown sauce, stuffed with red pork or shrimps, crispy pork, a bit of lettuce and turnip. 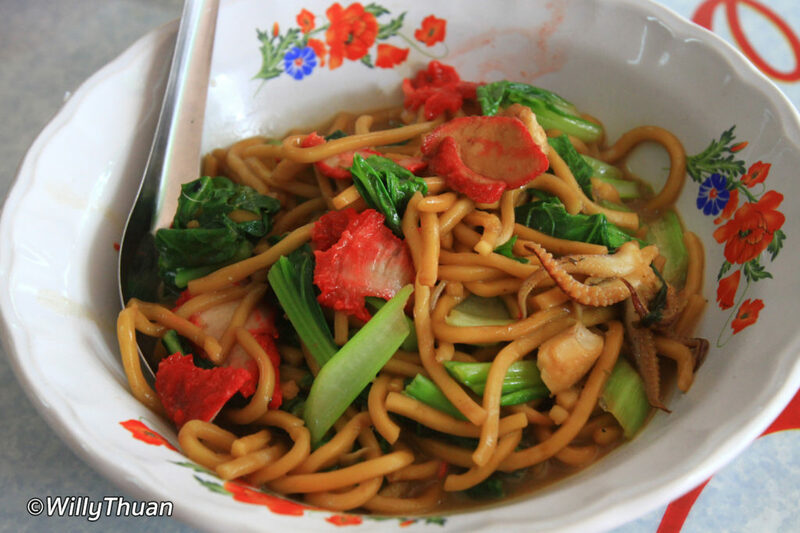 Big yellow noodles in brown gravy with red pork, squids and veggies. 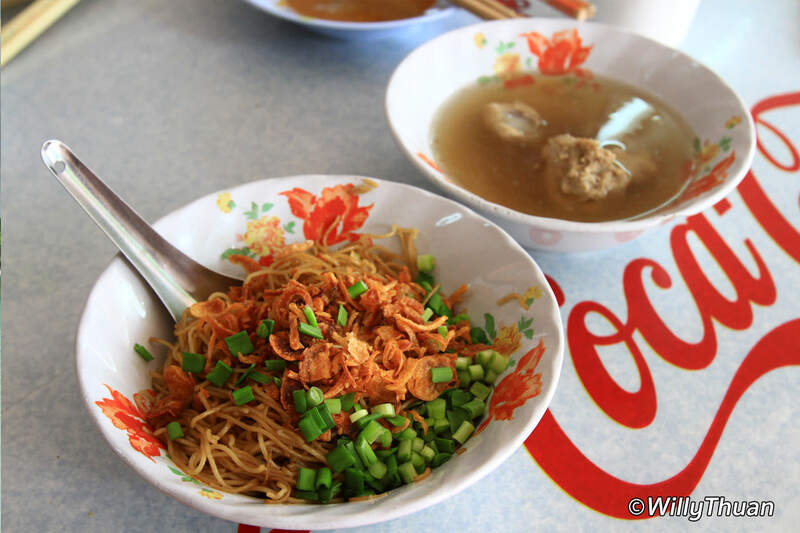 Dry vermicelli served with fried shallots, and spring onion served with a clear soup and pork ribs. Excellent. ✎ Lock Tien Restaurant, at the intersection of Yaowarat Road and Dibuk Road. A deep-fried Phuket sausage made from pork and taro served with a sweet sauce. Kiean is the item you can see in the back of the photo! 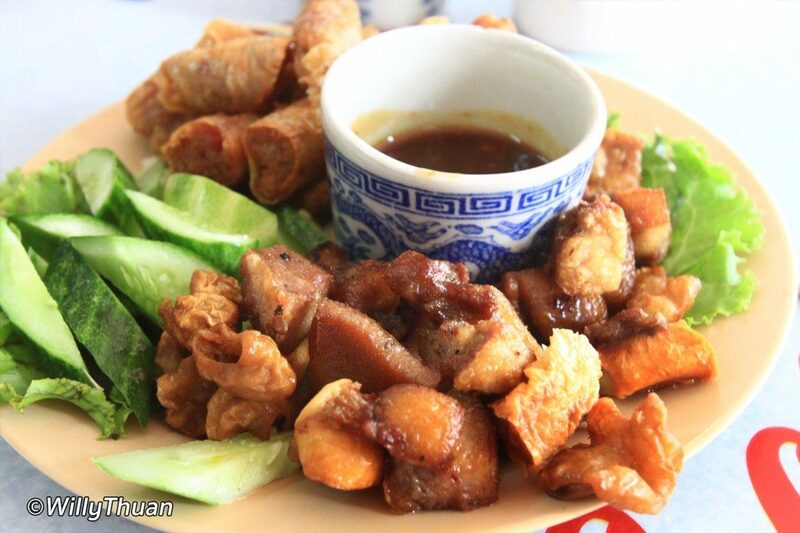 Deep-fried Pork giblets: intestines, ears and fat belly also served with sweet brown sauce. Great with beer, but not great for your diet. Lo-Ba is the bit in the front of the photo. A delicious spicy curry fish mousse steamed in a Bai Cha-Ploo leave (Piper sarmentosum Roxd if you ask! 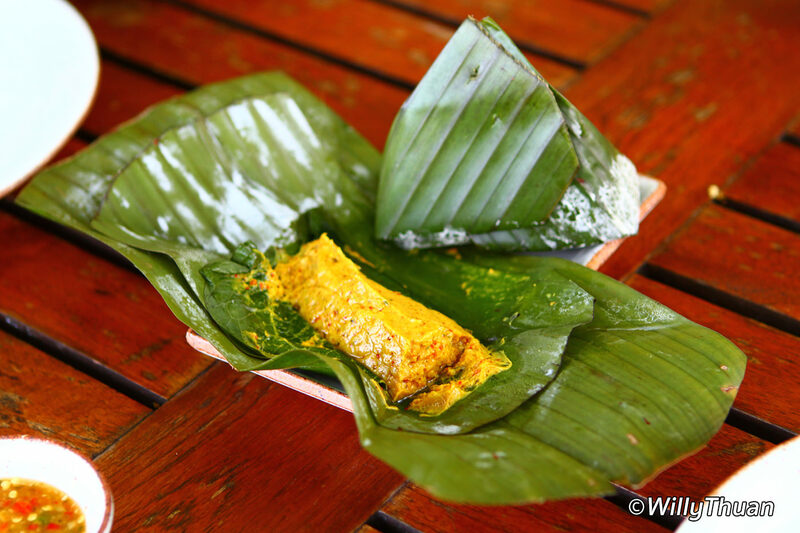 ), itself wrapped in a banana leave. 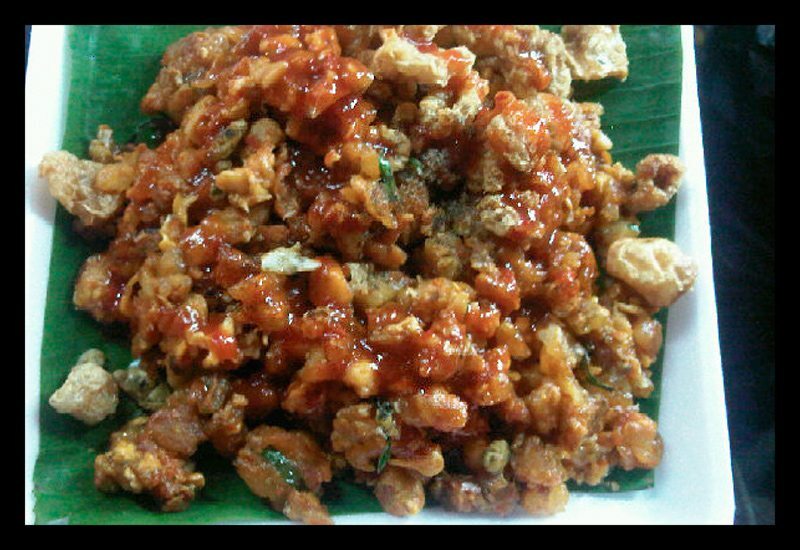 A must try, but be aware, it might come spicy and occasionally with a strong fishy taste! ✎ Almost any seafood restaurant serves it. Kan Eang @ Pier is an excellent place to try it. 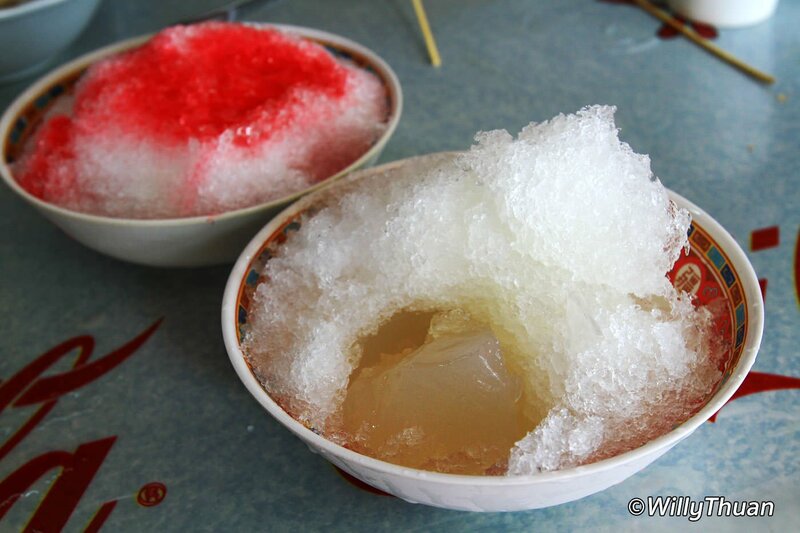 Jelly made from banana with shaved ice and syrup. Excellent to cool down the heat AND after the spicy dishes mentioned above! ✎ Lock Tien Restaurant, but also shops and carts around. 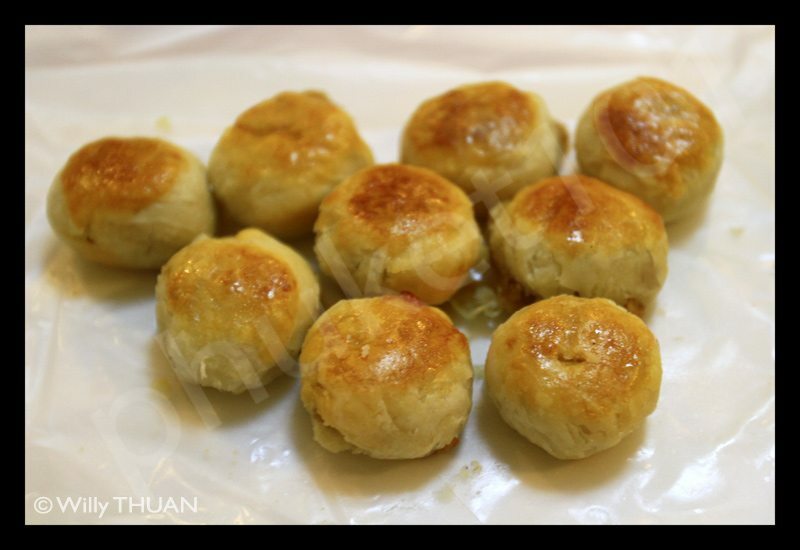 Small cakes stuffed with a choice of ingredients: Sweet with preserved egg, salty with preserved egg, black sesame, pandanus flavour or for the brave: durian flavour.